Dyslexia is almost always assumed to be an obstacle. And for one in five people who are dyslexic, it can be. Yet for millions of successful dyslexics - including astrophysicists, mystery novelists, and entrepreneurs - their dyslexic differences are the key to their success. In this paradigm-shifting book, neurolearning experts Drs. Brock and Fernette Eide describe exciting new brain science revealing that dyslexic people have unique brain structure and organization. While the differences are responsible for certain challenges with literacy and reading, the dyslexic brain also gives a predisposition to important skills and special talents. While dyslexics typically struggle to decode the written word, they often also excel in areas such as mechanical reasoning (required for architects and surgeons); interconnected reasoning (artists and inventors); narrative reasoning (novelists and lawyers); and dynamic reasoning (scientists and business pioneers). 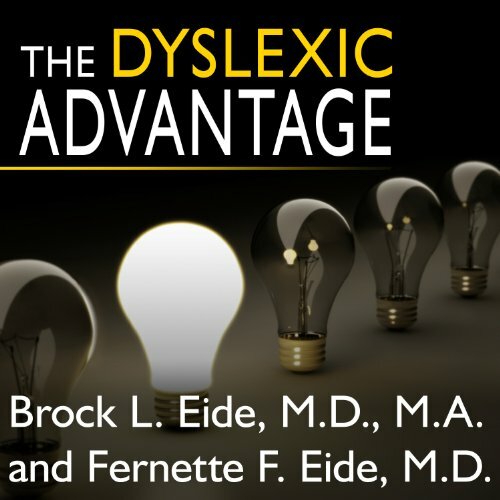 With much-needed prescriptive advice for parents, educators, and dyslexics, The Dyslexic Advantage provides the first complete portrait of dyslexia. Supporting their claims with groundbreaking science and interviews with successful dyslexics and innovative teachers, the authors of this essential book show how the unique strengths of dyslexia can be captured for success at home, at school, and at work.